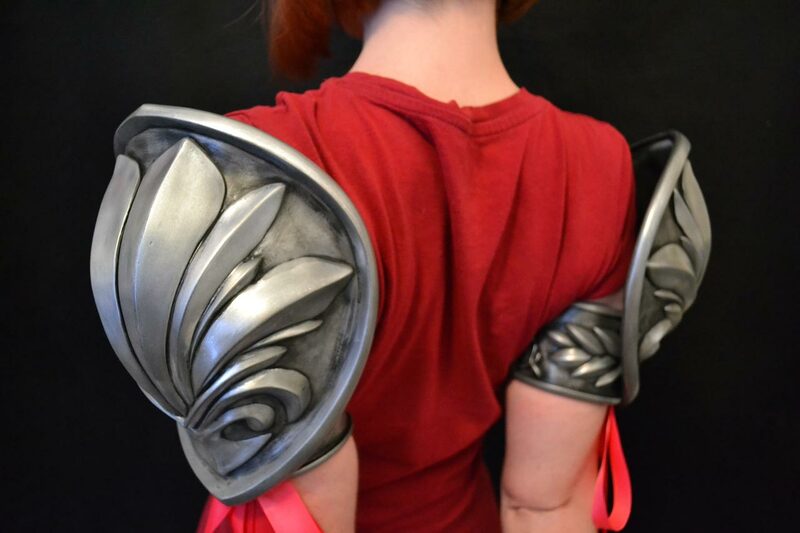 Originally sculpted out of a very heavy epoxy clay, these pauldrons were hollow cast in urethane resin in order to be as lightweight as possible. 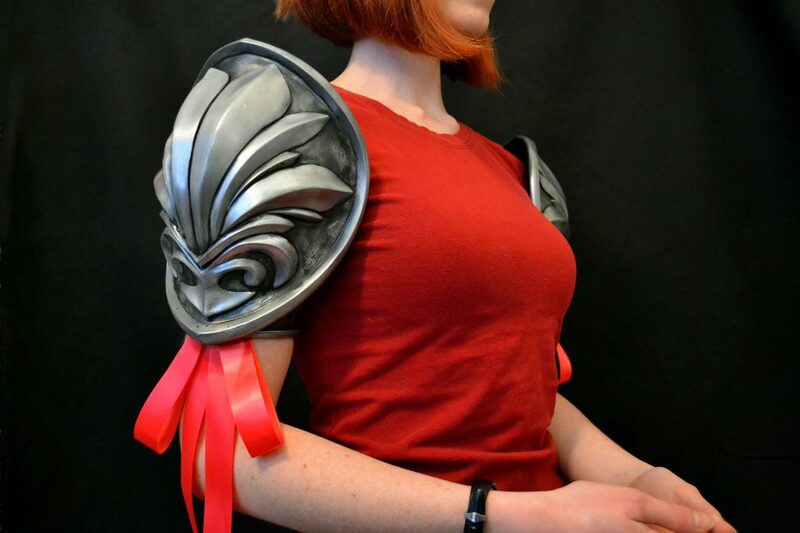 The arm cuff is tightly fitted to the wearer’s arm and held in place with a friction fit so no additional strapping or harness is needed in order to wear them. 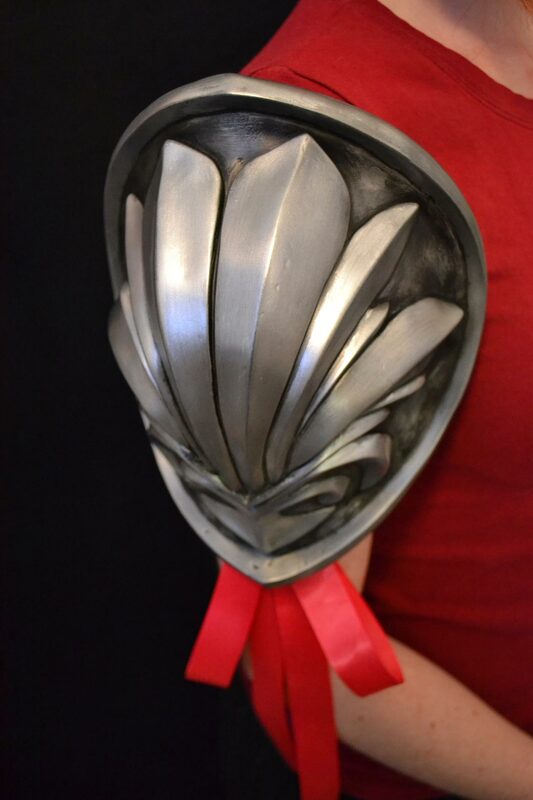 Cast in aluminum powder backed with resin, these parts buff to a metallic shine and simulate the look of real metal far better than a painted surface. 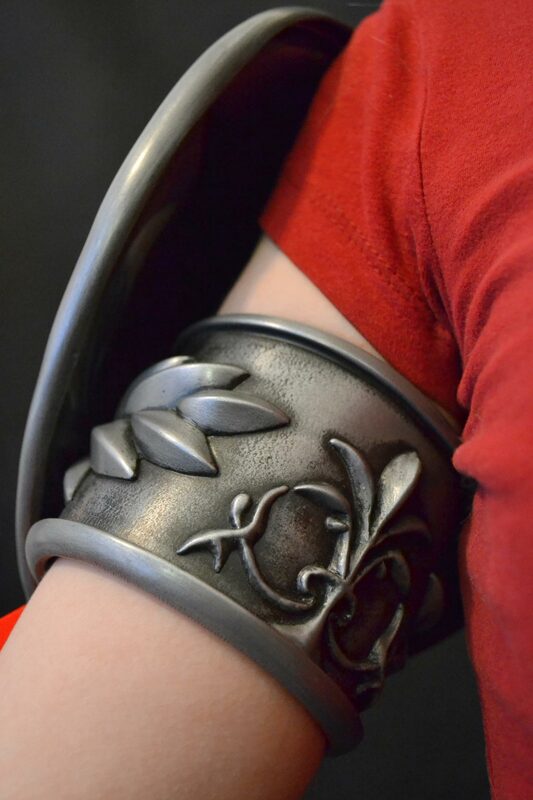 The finished pauldrons have the look of durable steel but weigh less than 3 ounces a piece. 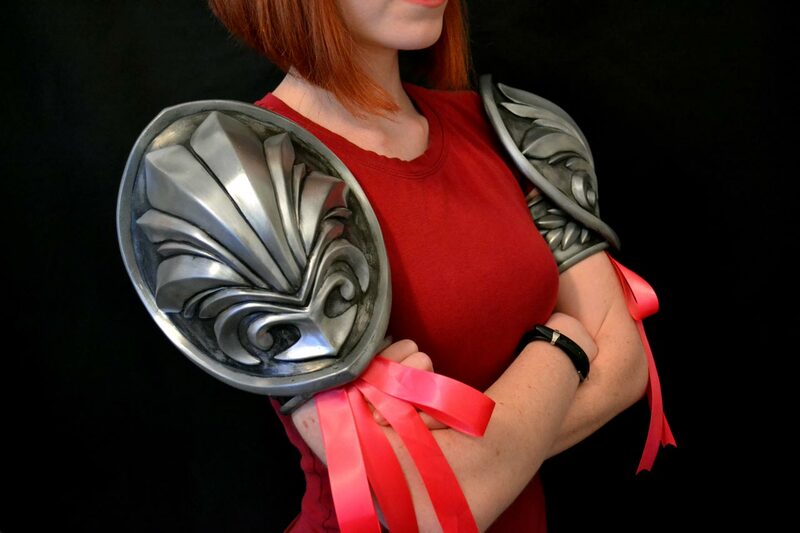 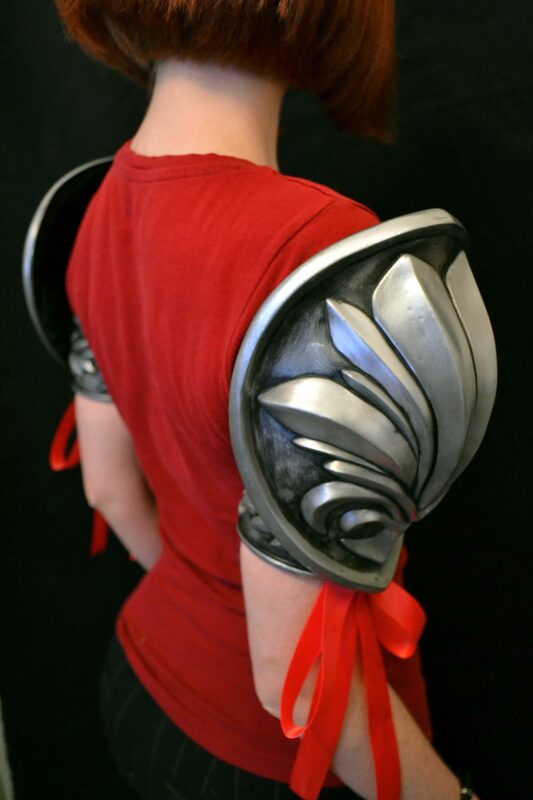 Click here for the Soul Calibur IV Cassandra’s Pauldrons design and build log.